When you miss someone it is usually enough just to hear that person’s voice and you’ll feel better. 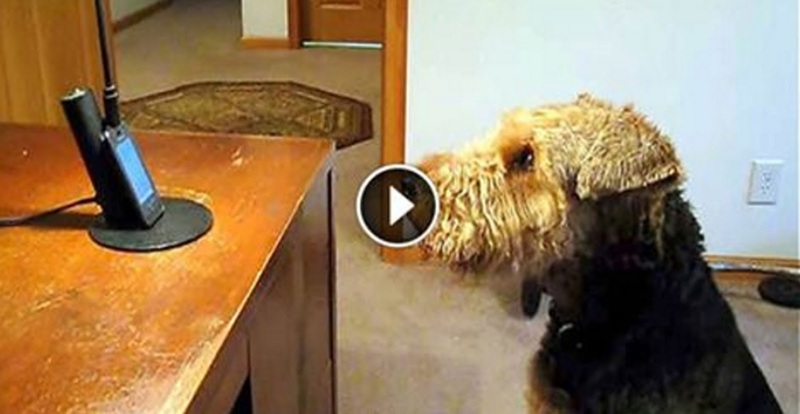 Stanley, the Airedale, was missing his human mum so bad that his dad couldn’t do anything else but to call her up. The conversation goes on and on and you will love the part when mum asks Stanley to say he loves her. His reaction is so adorable! Stanley keeps saying he loves mum and after a while his owners just can’t stop laughing. What a sweetie! If only he could really talk.